Today, His Excellency the UQU President, Prof. Abdullah Bafail, received a report from the work team of the Deanship of Academic Development and Quality on the self-study for institutional accreditation and self-assessment standards, as well as the indicators handbook. 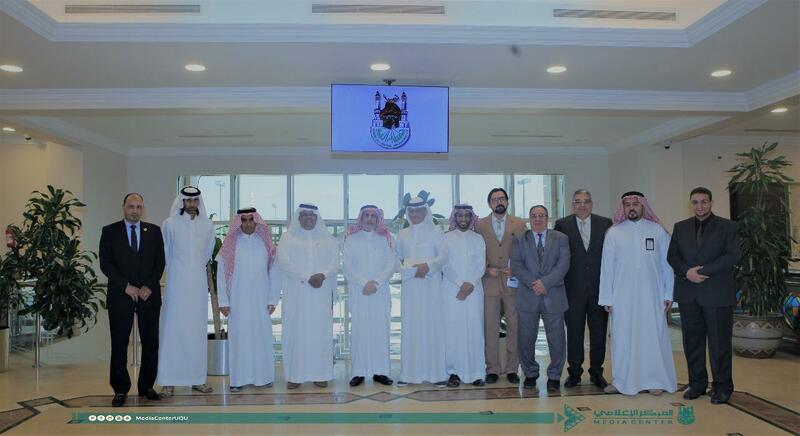 This took place in the presence of the UQU Vice President for Development and Entrepreneurship, Dr. Hani Ghazi; Dean of Academic Development and Quality, Dr. Muhammad Thabit; and the deanship's vice deans and consultants. His Excellency mentioned that institutional accreditation is a means of improving and developing the academic services and the research and administrative environment. Moreover, His Excellency encouraged the development of clear systematic plans for all the UQU affiliates in all academic fields in order for the Umm Al-Qura University to become one of the leading universities. He also said that obtaining the institutional accreditation will create a culture and a methodology for continuous development. Dr. Hani Ghazi indicated that the report includes a study on the university, the academic programs it offers, and its social responsibility represented in community service. This study was prepared in order for the university to obtain institutional accreditation. Dr. Hani also clarified that these reports are the outcome of years of work, and that this study is the third of such evaluations in the history of Umm Al-Quran University. The first study was made in 1428 A.H., and the second was made in 1434 A.H., in collaboration with the National Center for Academic Accreditation and Assessment. These studies tackled the development assessment stage. Dr. Hani clarified that this year's study was carried out with the participation of the eleven UQU vice presidents, in addition to their work teams and all the different university sectors, including the Supreme Management, colleges, support deanships, research centers, departments, administrations, employees, and students. Dr. Hani also indicated that the study is based on continuous development in order to fulfill the future vision of UQU. Dr. Muhammad Thabit clarified that the Deanship of Academic Development and Quality worked in collaboration with all the university sectors in order to address the recommendations of the audit teams concerned with institutional accreditation. 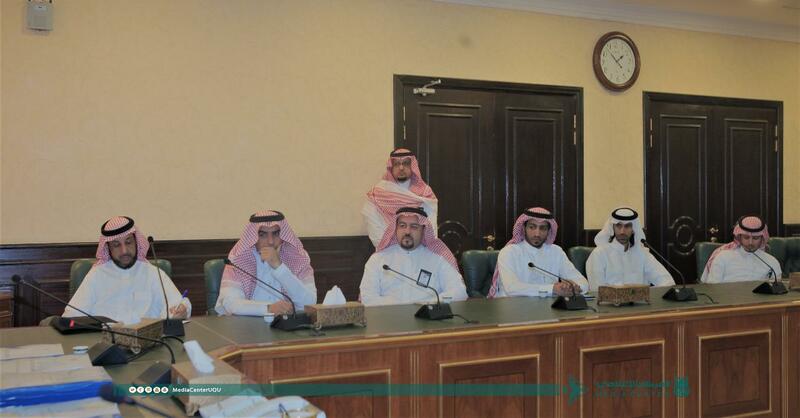 After the recommendations had been addressed according to the standards and requirements of the National Commission for Academic Accreditation and Assessment, the Deanship carried out a self-study on the UQU programs, activities, and academic and research environment.